The people are catching on and fighting back! This is another case that the media will make a fuss of over here in North America. This case has global implications. Massive global implications. Consider, just for example, the Deepwater Disaster that is still killing and mutating in the Gulf States. It is amazing that these Nigerian farmers are still alive. As for the Dutch judges, it will be very interesting to see if they all survive and/or that the report reaches the public honest and unbiased towards the petrochemical industry. Imagine taking BP to task for its various forms of pollution to the environment! Hmm. Corporations are now deemed to be "people" under the law. However, when one refers to a company, it is always as "it", as in "rock" or "business". Just a silly thought. A case in which four Nigerian fish farmers have succeeded in taking the Anglo-Dutch owned oil giant Shell to Court in the Netherlands, marks a historic turning point on whether how oil pollution and oil damage cases are handled. The case has ramifications not just for Shell and other oil companies operating in Nigeria, but around the world. 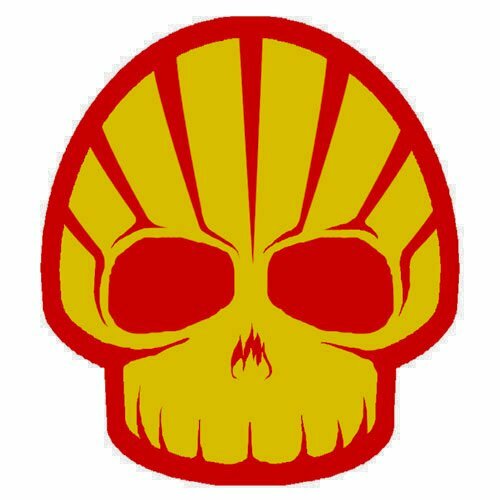 What it means is that international oil companies like Shell and others may be held legally responsible for their activities, the activities of their subsidiaries, and even partners, abroad. The Nigerian farmers at the centre of the case going on in the Netherlands brought the case to the Netherlands because Shell has its headquarters here. The hearing of the case in the Netherlands means that oil companies may no longer be able to say they are not responsible or not to blame when disasters happen ~ away from home, where they have their operations. In an ideal world, the farmers would have first tried to get Shell's Nigerian subsidiary held responsible. 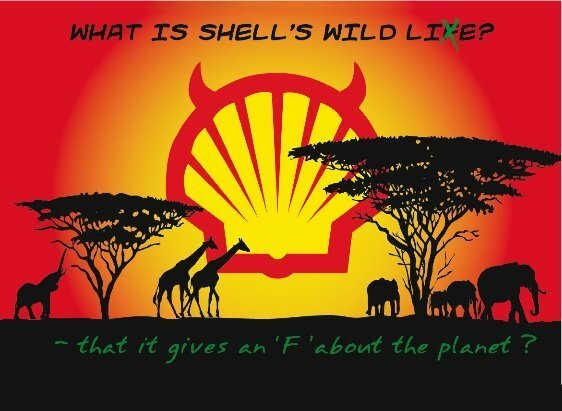 But the environmental action group Friends of the Earth alleges that because Shell is such a powerful and influence force with Nigerian government officials, and even among members of the judiciary, the case would have been unlikely to succeed here. The truth of the matter is that there are hundreds of cases against oil companies in Nigeria, where victims allege oil pollution by companies. But few have gotten justice. Shell denies the farmers' accusations, and says that the oil spills are being caused by Nigerians engaged in running illegal oil refineries in the area, who sabotage and burst pipelines, to siphon off oil. The oil rich communities say that is not true; that the oil in illegal refineries comes from the miles of leaking and poorly maintained pipeline lines that snake through their villages. Judges in the Netherlands will hear evidence from the farmers and their legal representatives, Friends of the Earth, and hear what Shell has to say too. A verdict is expected at the end of the year. Dear Noor - egeria here - I just sent you a "comment" with my mail address. Her's some info you might find interesting, as it concerns your country - not a "comment", just info for you. Early this month Press-TV started an information campaign on Canada’s abuse of its native population. It all started with some reportages by Joshua Blakeney (who is a Canadian pro-Palestine activist and 9/11 Truth Scholar closely associated with Greg Felton who was Keith Johnson’s guest at last Tuesday’s broadcast). Joshua Blakeney this year became Press-tv’s correspondent from Canada. Last week there was this video-reportage about violence perpetrated on native Canadian women. As a result Press-tv started to get in touch directly with Canadian native chiefs and invited them to Tehran for some specials. As we heard from Press-tv, before leaving for Iran the Chiefs were threatened in an attempt to deter them from accepting the invitation. So yesterday Press-tv aired a “News Analysis” special with the two invited Chiefs in studio in Tehran. Today I found the VIDEO + Interview Transcripts published on P-tv’s website. VIDEO + TRANSCRIPTS - Each link: Video is the same, but transcript separate for each Chief interviewed. The four Nigerians who are fishermen and farmers from the oil rich Niger Delta have alleged that Shell, through its operations has polluted their environment between 2004 and 2007 thereby affecting their source of livelihood. Anonymous. It always cheers me up too! That is why I make sure it is easily seen because as you know you can scroll very far down on this page for things of interest. Egeria, thanks for all that information! I know about the horrors suffered by our Native Canadians. These are shameful crimes. A few years ago Harper was forced to apologize to the Natives for treatment they received and it was done in the government house. The words were gracious but you could tell Harper was absolutely CHOKING that HE had to apologize to what he assuredly considers a people inferior to himself. Where I live, EG, these things are part of our local history. As for Nigeria... omg I will move on that information of the Christian Zionists. That is totally horrible but nothing one would not expect from these creatures. I saved your email into my address book btw and will now remove that email.